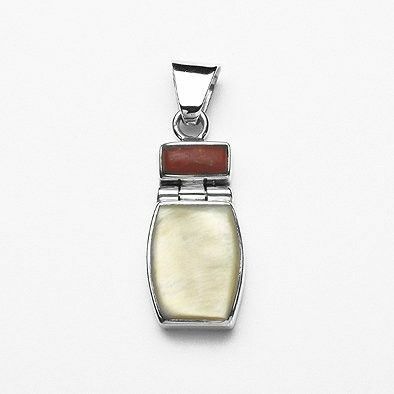 This cute pendant features mother of pearl and red coral set in sterling silver. 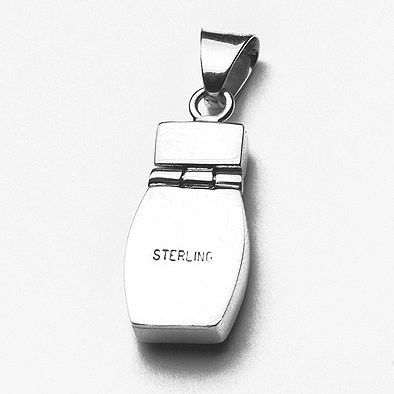 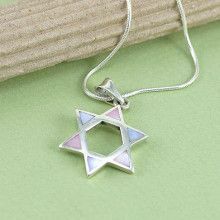 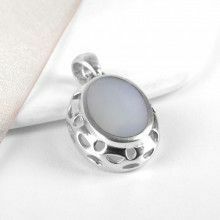 The pendant measures Approximately 1 1/2" in length by 1/2" in width. 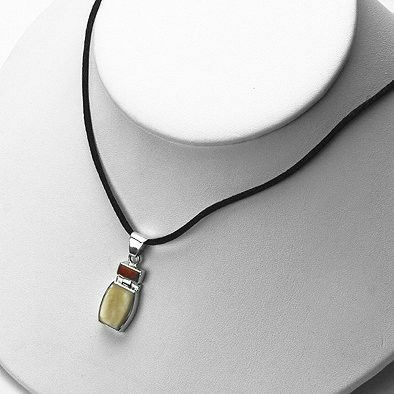 A great piece of jewelry with a southwestern feel to it.